This “semievergreen” hardy perennial can be harvested year round on Vancouver Island. 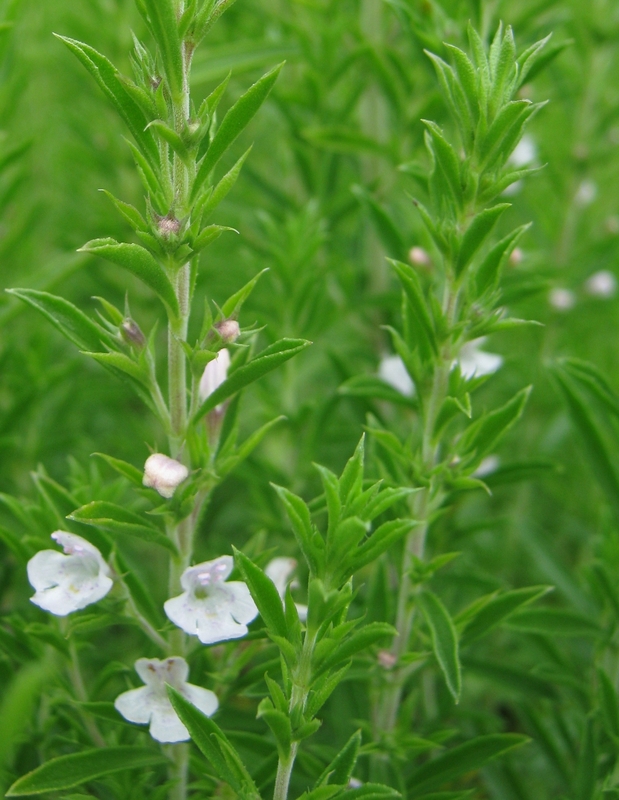 Not only is this plant deer resistant, but it is listed as an aromatic herb that Repels deer! That’s quite a claim ! Here is a good idea for your west coast winter project ! passively heated green house design. Just a interesting little article I have found. I have tried them all ! Another fall/winter activity for Plant Growers in the off season…. reading. “A Gardener’s Guide to Frost” by Philip Harnden ( ISBN 1-57223-576-4 ) is flowing, wonderful to read book with lots of great frosty garden pictures. Covering a complete set of topics exploring a vegetable gardener’s relationship to frost including interesting chapters on Forecasting Frost, Fending Off Frost, and a listing of Frost Tolerant Garden Vegetables. For those of us on Vancouver Island, “A Gardener’s Guide to Frost” is in the VIRL book collection. According Farmer’s Almanac Naniamo gets an average of 171 frost free days, and the frost free growing season starts on April 28th. Further south in Victoria the average frost free date is April 19th. Expect a first frost around the beginning of November. 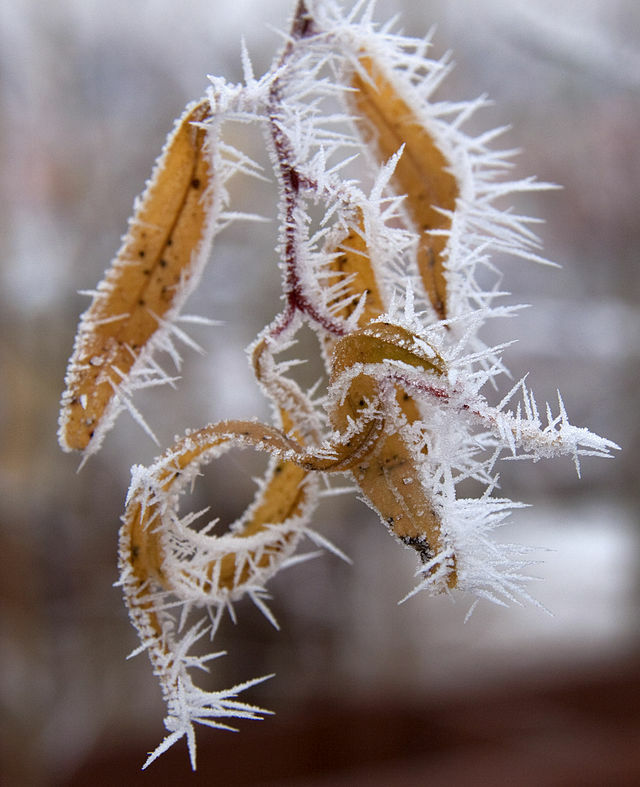 Of course many vegetable and herb plants can tolerate frost. Here is listing of Frost Tolerance of Vegetables to help you get started. It is always interesting to see how Vancouver Island compares to the rest of Canada for frost free dates and growing season length, here is a handy table put out by the Farmer’s Almanac for various Canadian cities. Bay Laurel (Laurus nobilis) is an evergreen tree native to southern Europe. It has a long history as a culinary and sacred herb. Growing this wonderful Mediterranean herb on Vancouver Island is not difficult, but it requires a little extra care to get it through the winter. Bay is considered a half hardy perennial in our climatic zone, so unprotected outdoor overwintering is a bit of a gamble. Young Bay plants, less than five years old, are considerably less hardy than mature plants. Bay is shallow rooted, so heavy frosts may damage it’s root system. 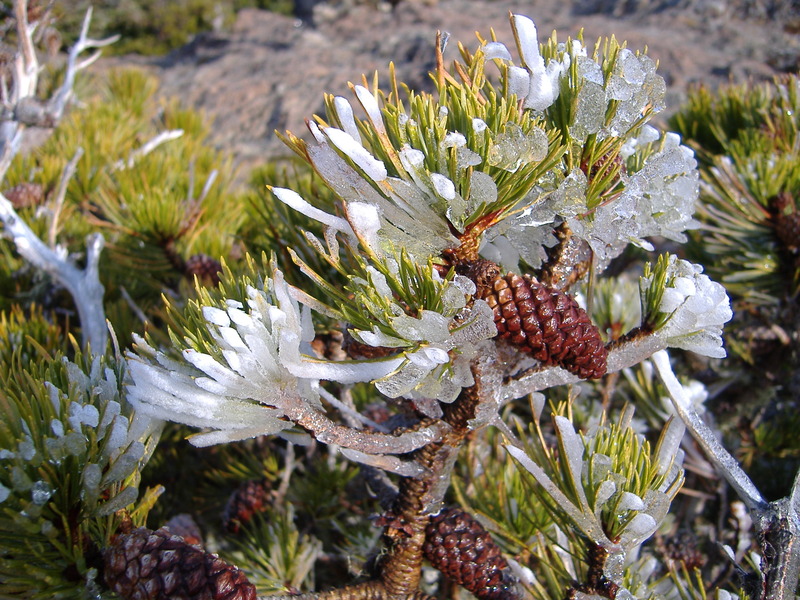 Bay foliage is damaged in the winter by cold temperatures and wind that produce low humidity conditions that cause the leaves and smaller stems to die back. The first line of defense is to select a sunny protected area with well drained soil for your Bay plant. In the winter, mulch to help protect the root system from frost. If temperatures are expected to go below -5C cover the entire plant with frost cloth or burlap to help protect the foliage. Plants may suffer cold or wind damage to the current season’s growth, which can be pruned out in the spring. If the worst happens and a ground-planted bay seems to have all of it’s foliage killed off, prune it back and be patient, there is a good possibility that it will put up new shoots. 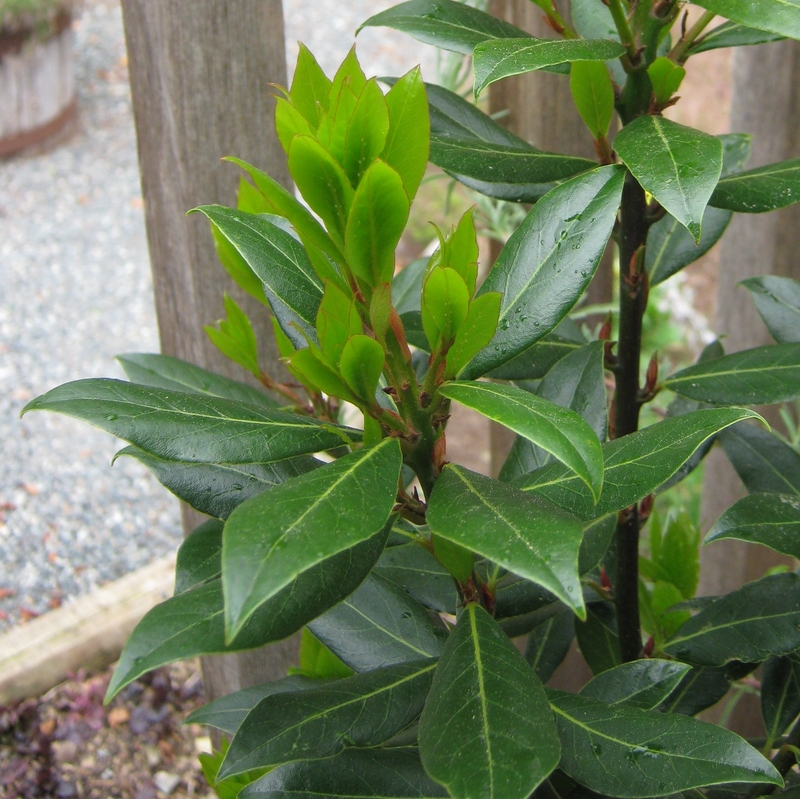 Potted Bay Laurel that is going to be kept outdoors, should have the entire pot buried in a sheltered corner of your garden. Then mulch and cover it as described above. Potted Bay Laurel that can be moved indoors should be kept in an area that does not go below -5C and near a window for a bit of light. Water your indoor bay very sparingly ( 1 – 3 times per month ), do not fertilize it and keep an eye out for pests. While we are on the subject of Pests, it is also advisable to carefully check over your Bay and remove any pests before bringing it inside. While inside keep it well away from your houseplants to minimize an exchange of pests. Well that is all for this year …. Happy Holidays ! My wife and I both love to use Rosemary for cooking, so over the years I have tried many different strategies for keeping it happy through the cool, damp, dark Vancouver Island Winters. Rosemary is considered a half hardy perennial in our climatic zone, so unprotected outdoor overwintering is a bit of a gamble. Unlike many other perennial herbs, Rosemary stores very little energy in it’s stem and root tissue, it has to produce food for itself by photosynthesizing all year round, so it needs light even in the winter. 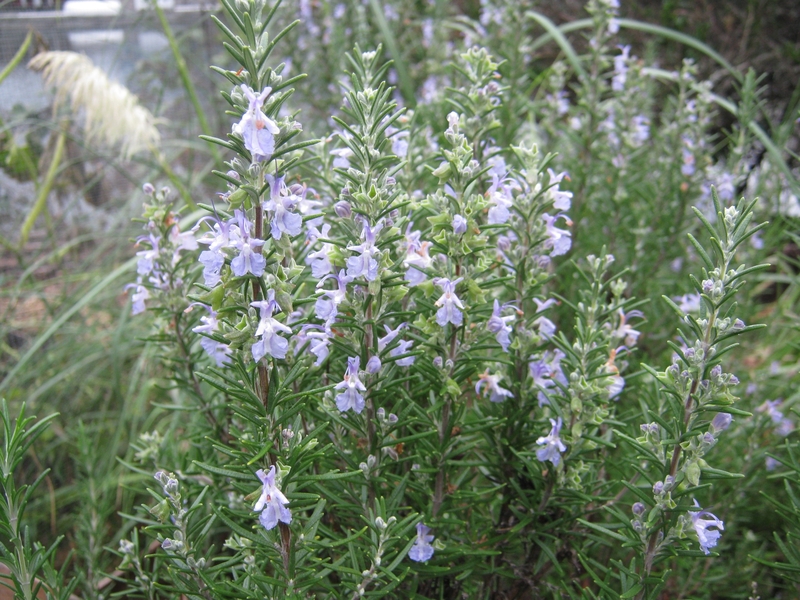 Rosemary does not like having wet feet, but benefits from moisture on it’s foliage. Rosemary is damaged in the winter by cold temperatures and wind that produce low humidity conditions that desiccate and damage it’s foliage. Extreme cold temperature will freezes it’s roots. The first line of defense is choosing a more winter hardy Rosemary cultivar, the standard recommendation in this area is a variety called ‘ARP’, originally from ARP Texas, it is considered to be considerably more cold hardy than most, however I (personally) don’t like the flavor or aroma of ARP Rosemary. Another variety that overwinters well on the herb farm is Northcot. Pick a location, with lots of light, shelter from the wind, and excellent drainage. The cold dry winds are going to come from the north and sometimes the west. If you are lucky enough to live near the sea your Rosemary will benefit from the moderated ocean side winter temperatures and higher humidity. I am not keen about mulching around Rosemary, the benefit would be added insulation over the root zone, the risk is possible root-rot causing moisture retention. Growing your Rosemary in a large pot is great strategy as you can move it into an unheated or lightly heated greenhouse, cold frame or covered porch. If you want to take it right inside your house and grow it in a bright window be aware that it will require regular misting to compensate for your dry indoor air and your Rosemary plant may trade insect pests with your house plants which can be tricky ! I grow my Rosemary in large pots that are located on a sunny deck by the kitchen door all spring, summer and fall. Then I move them into an insulated unheated shed and put them under a florescent light fixture that contains 1 cool white and one GE “daylight” bulb. They light is on 12 hours per day and I get to pick fresh Rosemary all winter and have lots of cuttings for propagation in the early spring. The last, and maybe best strategy is ” don’t worry be happy ! ” and grow your Rosemary as if it is an annual plant. Just buy a new plant every spring. I have seen lots of fantastic Rosemary plants at the early spring “Seedy Saturday” plant and seed exchange sales at very reasonable prices.